Laughter isn’t just found in comedy shows - people are laughing their socks off all the time. But what’s the point? When, and why, did our species start laughing, and is it unique to us? Chris Smith spoke to neuroscientist Professor Sophie Scott, from University College London. Sophie - It’s a very interesting behaviour because if you ask human adults about it it’s something we like and we’ll talk about. But we’ll say that we laugh at jokes and comedy and humour but if you actually watch us, and this was done very nicely by Robert Provine, what you find is it’s a completely social behaviour, it’s something we do when we’re with other people. Most of laughter occurs during conversations with other people and, even then, we’re hardly ever laughing at jokes. We’re laughing to show we understand people and we agree with them, or we know them, we like them, we’re part of the same group as them. So we’re doing a huge amount of social aspects of our interaction - we’re actually managing with laughter. Chris - But when I’m actually laughing Sophie, whats going on physiologically - what’s my body doing because it’s quite a distinct thing, isn’t it laughter? Everyone can recognise what a laugh is. Sophie - Exactly. And it’s actually a very, very basic way of making a sound. When you start laughing, what happens is the intercostal muscles in the diaphragm, which I’m using right now to produce a very finely controlled flow of air out through my larynx and that’s how we all talk. Instead of doing that these muscles start to do very large single contractions and that just squeezes air out of you, and you squeeze the air out under very high pressures. So you start making sounds you wouldn’t normally make but each one of those individual ha, ha, ha sounds, literally, is air just being pushed from you. You could achieve the same by jumping up and down on someone’s rib cage. It’s very, very basic and it’s probably why babies can do it from a very early age. There’s nothing complex to it at all. Chris - Is sounds very similar to coughing. Sophie - It is extremely similar to coughing and also, of course, to crying, weeping. So it’s a very basic, very uncomplex way of making a sound. Something we don’t understand is, if there is a competition between talking and breathing and laughing, laughter will win. There’s something about the motor control of it that overwhelms everything else, and that’s why you can tell if someone’s talking and they start laughing, it’s absolutely unmissable in their voice. Chris - Now when do we think that this behaviour first evolved? Sophie - Throughout history, humans have been very prone to think that we are the only animals that laugh. Nietzsche thought only man laughed I think; I think Aristotle though only man laughed but, actually, you find it in other animals. It’s very easily observed in other apes. So gorillas and chimpanzees, orang utans they laugh and it’s very like human laughter - it looks and sound like human laughter. But it’s also been described in rats. So it’s possible that there is more laughter out there and I think, at the moment it’s fair to say, no-ones really looking for it. But it would be very interesting to know about exactly how you can trace its appearance in the evolution of mammals, because that does seem to be what it is. It’s a mammalian behaviour which is not something associated in a straightforward way with humour because chimpanzees and rats aren’t laughing at jokes. They’re laughing at interactions and they’re laughing at things like being tickled. So it seems to have a much more basic role for mammals and, potentially, there’s a lot more of it out there. Chris - Is that why they’re called howler monkeys? Sophie - Ohhh - possibly! Chris - Now when you say it’s not just us, there are these other mammals that laugh - how do we know they’re laughing and what do they laugh at? Sophie - The main thing that they seem to laugh at is very common with humans. It’s tickling and I know my colleague, Caspar Addyman, is going to talk more about this in humans, but tickling is very common across animals that laugh. Tickling is what gets rats laughing, orang utans laughing, gorillas and humans. But it’s also play, and all mammals play when they’re infants. It’s very important mammalian behaviour and Panksepp who’s done some very beautiful work on rat laughter; he first noticed this sound that, actually, when rats were playing with each other and he wondered if that was laughter and started tickling the rats to see if it make the same sound. But he says, at it’s heart, laughter is an invitation to play - it’s kind of putting the interaction onto a playful, unthreatening, enjoyable basis. And that’s a very, very useful way of managing interactions for animals and mammals are very often highly social so it matters to them. Chris - Now what about looking at our own species for a minute then - what about the ubiquity of laughter. Do we all do it? Sophie - We do all do it. So laughters found, in terms of the universality of it, seems to be a basic human emotion. You don’t find cultures where people never laugh. You find cultures where people laugh more and laugh less. There are cultures where public laughter can be quite impolite, but people will still laugh in private and they’ll still laugh in other situations. So it seems to be, as far as we can see, a genuinely universal emotion, though it can be socially quite variable to any one extent, with any one culture, how appropriate it is to laugh on a minute to minute basis. Chris - Is the ability to have a sense of humour universally represented amongst humans and also the ability to laugh in this way amongst mammals? Sophie - One thing I would be clear is that you do need to distinguish humour from laughter because, as far as we know all humans, to one extent or another, will show laughter. Laugher is a very, very common behaviour although with a proviso it can go wrong in some psychiatric conditions. But that’s not the same as everybody having the same kind or use of humour, and humour varies really widely even within a culture. Based on how old you are you’ll find different stuff funny and all sorts of other stuff influences that. 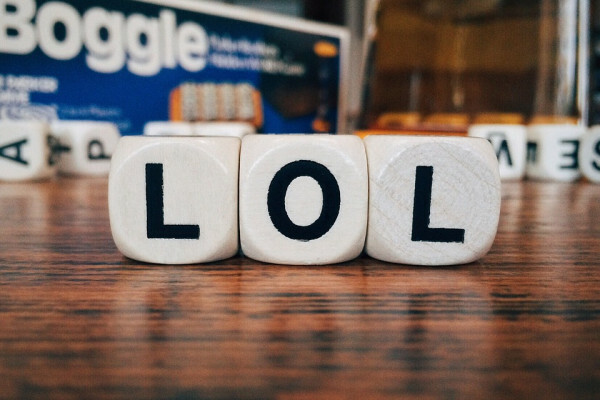 So what you find is that humour is incredibly variable and complex and plastic, and then our behaviour to it, which is often laughter, can actually be very, very familiar. Chris - so is there a sort of humour centre in the brain which that can then activate or be activated by things like the tickling centre, so if I tickle you and you laugh, that will also elicit the same reactions if I tickle you with a joke and you laugh? Sophie - It seems not to. So people have put people into scanners and they’ve tickled them and what they found is that tickling laughter is associated with increased activation in the hypothalamus, which is a tiny part of the brain involved in hormone release. In contrast, if you scan people while they’re listening to jokes, what you essentially get is the language system working away to help you understand what the jokes are, so they do seem to be quite distinct. We’ve definitely got a hallmark of brain activation that seems to be associated with tickling and it’s different from understanding a joke. Chris - And have you got a joke for us to finish on Sophie? Sophie - What’s green and invisible? Chris - I don’t know - what is green and invisible? Sophie - This lettuce. Perhaps not the best for radio! What's your favourite accidental scientific discovery? Where do decisions originate in the brain? What keeps a Professor up at night? Healthy Eating or Dodgy Science? Would Penicillin inhibit the growth of fungi? Can a photon be visualized ?